TORONTO — With the automotive market presenting potential opportunities of ever-emerging memories such as ferroelectric RAM (FRAM), magnetoresistive RAM (MRAM), and resistive RAM (ReRAM), Adesto Technologies is working hard to make sure that the latter makes the grade. While Adesto was one of the first companies to bring commercial ReRAM devices to market with its trademarked CBRAM technology that consumes less power, requires fewer processing steps, and operates at lower voltages as compared to conventional embedded flash technologies, ReRAM still faces integration and reliability challenges, which the researchers tackle in their paper. 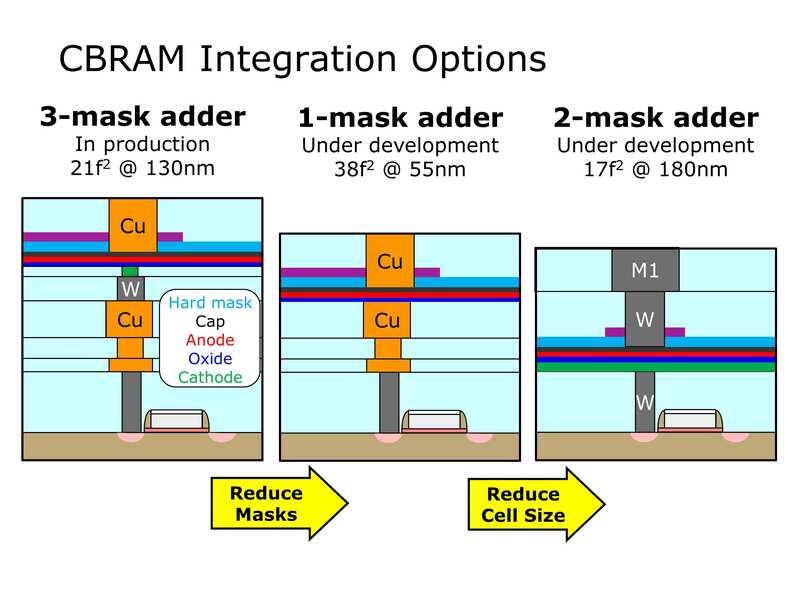 Adesto’s research indicates that ReRAM could become a widely used, low-cost, and simple embedded non-volatile memory (eNVM) because it uses simple cell structures and materials that can be integrated into existing manufacturing flows with as little as one additional mask. “Towards Automotive Grade Embedded ReRAM," is authored by Jameson and a dozen collaborators and will be published on the IEEE Xplore website. 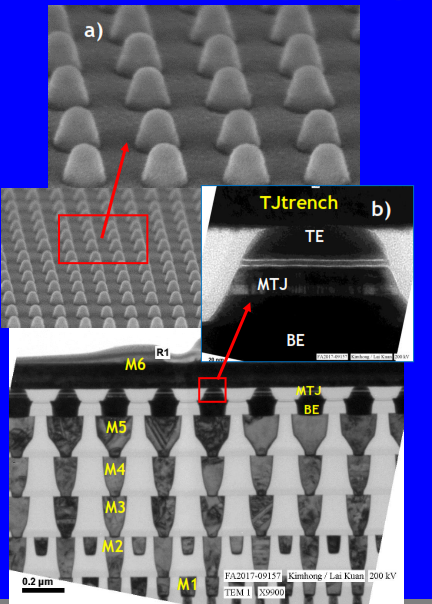 It describes an improved subquantum conductive bridging RAM (CBRAM) cell, whose reliability appears robust enough for automotive applications, and discusses the main types and levels of errors observed in the new cell stack. The researchers also outline the reliability models that were developed to predict endurance and storage lifetimes. ReRAM has long been considered a natural successor to embedded Flash (eFlash) for MCUs and SoCs, note the researchers, as it uses simple cell structures and materials that can be integrated into an existing logic back-end-of-line (BEOL) using as few as one additional mask and few, if any, alterations to the front-end-of-line (FEOL), unlike eFlash, which requires 10 or more additional masks as well as a coordinated FEOL/BEOL integration scheme capable of accommodating its high thermal budget. The paper’s reliability models predict that a storage lifetime of more than 20 years at 150°C following 104 direct write cycles is achievable for a median part failure probability of 1 ppm. That being said, Intrater didn’t want to make any predictions to how soon Adesto’s CBRAM would be replacing eFlash in automotive applications. There’s still a commercialization stage that needs to happen to make it a reality. GlobalFoundries’ magnetic tunnel junction (MTJ) stack and integration has been optimized for a 400°C, 60-minute post-MTJ patterning thermal budget and is compatible with CMOS BEOL, making it suitable for automotive SOCs. Adesto is not the only company that’s looking to widen the applications for ReRAM. While its CBRAM has found use in medical applications thanks to its radiation tolerance and is addressing power challenges with IoT devices, Israel-based Weebit Nano recently produced the first packaged units containing memory arrays based on its silicon oxide Resistive RAM (SiOx ReRAM) technology. The company said that this enables it to ship its memory technology to partners and is an important step in productization and commercialization efforts. The first memory chips will be delivered to universities to research the use of ReRAM technology in neuromorphic computing. Meanwhile, Everspin Technologies and GlobalFoundries demonstrated last year that embedded MRAM could retain data through solder reflow at 260°C and for more than 10 years at 125°C, plus read/write with outstanding endurance at 125°C, enabling it to be used for general-purpose MCUs and automotive SOCs.